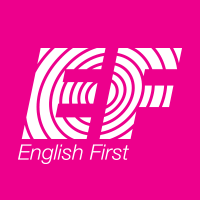 English First is an international organisation which employs thousands of teachers in 40 countries worldwide. It operates its schools mostly on a franchise basis, giving support, guidance and a comprehensive materials package to each individual operation. Both teachers and students benefit from being members of such a large, prestigious and well-established company. We actively encourage the professional development of all our teachers, and there are plenty of opportunities for movement within the organisation as we have 10 English First schools in our franchise. We now have vacancies for our branches in Pluit, Tanjung Duren, Tebet, Cengkareng, Puri Indah,BSD Tangerang, Gading Serpong, Tangerang City and Yasmin-Bogor. Pre-employment test and selection will be conducted in EF Tanjung Duren, West Jakarta. It’s a great opportunity to be part of an internationally recognized language schools. ☑ Able to commit to a minimum of one year contract.